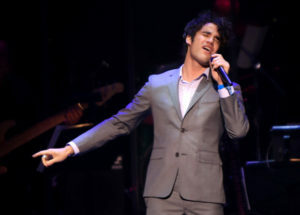 Who doesn’t love Darren Criss? 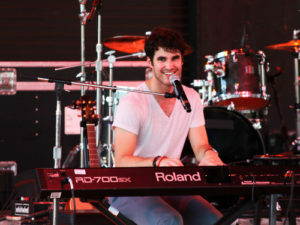 He’s ridiculously talented, lovably dorky, and an all-around awesome person. Maybe you’ve been following him since his Starkid days, or fell in love with him on Glee, or perhaps you were totally enamored by his performance in Hedwig and the Angry Inch. In celebration of all things Darren, here are eight things you probably didn’t know about the star. 1. Darren originally auditioned for the role of Finn on Glee. 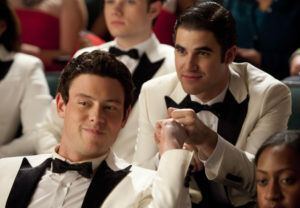 He ended up landing the role of Blaine over a year later, and the rest is history! 2. 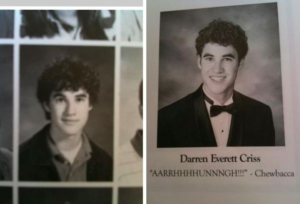 His High School yearbook quote is pretty much the greatest thing ever. 3. Darren is fluent in Italian. He learned the language while studying theater at the Accademia dell’Arte in Arezzo, Italy. 4. He taught himself how to play guitar, piano, mandolin, harmonica, and drums. This hasn’t happened (yet), but we like the sound of it. 6. Darren has said that his celebrity crush is Tina Fey. 7. He was in a rock band as a teenager. Darren played drums in his brother Chuck’s rock band, which probably explains why he’s such a perfect rockstar in Hedwig and the Angry Inch. 8. 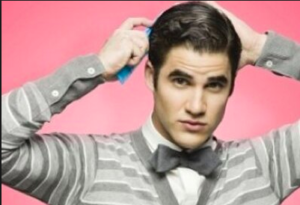 It took an hour to gel Darren’s hair to transform him into Blaine on Glee. That’s a LOT of time…and hair gel. 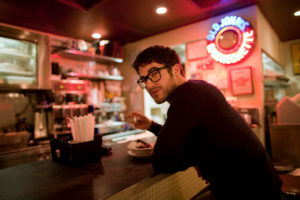 Need more Darren in your life? Don’t miss Hedwig and the Angry Inch, playing at the Hollywood Pantages Theater through November 27!